c2m's Marketing Matters: What is Dressy Casual? So I was invited to attend an event this upcoming weekend and the dress code calls for "dressy casual" attire. What exactly is dressy casual? Dressy casual is very similar to business casual, but slightly dressier/less informal. Accessorizing with jewelry is a must to complete a dressy casual look. The event starts at 6pm. I live in Florida. 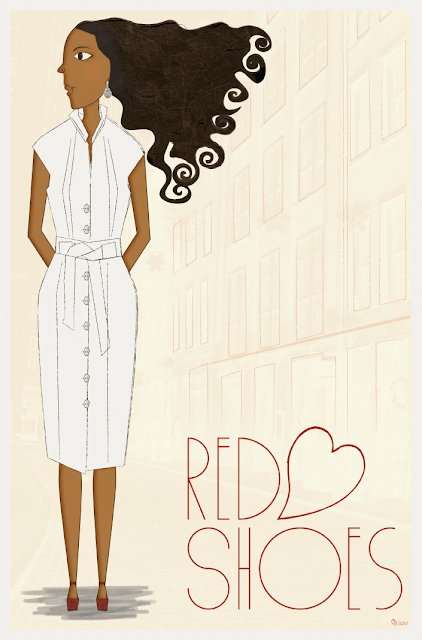 So I'm considering a white button down dress with red square-tip heels, and white gold jewelry pieces. My friend and I always call dressy casual "snappy caz." Caz is the shortened form of casual. Did you do the illustration? Very cool. Yes, I did the illustration. Thank you bunches for the kudos. Great article! Your blog is great!